There is an important transition taking place in the reverse osmosis industry. While Taiwan and China are still in many ways the market leaders for manufacturing RO parts, there is clearly an industry shift as market leaders look to localize production for RO systems across the globe. Importing bulky filter housings can be costly and wasteful as their weight and bulk make make transporting them extremely wasteful. The economics of importing compounded materials for local production makes much more sense over the long term. For many market leaders in the filtration industry, the economics of setting up production facilities to serve local markets rather than importing finished products is an easy choice. 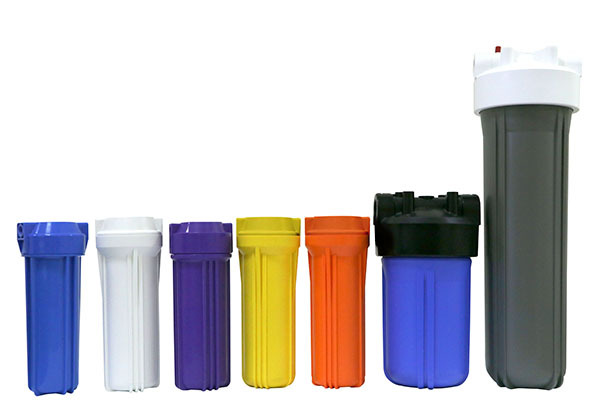 Wewill Inc. has partnered with Taiwan’s leading NSF certified polypropylene materials compounder to bring to your market industry-proven NSF/ANSI 61 certified PP compounds for drinking water system components for the water filtration industry. We can quote to any port around the world. Our materials are being used locally in Taiwan at most major injection molders serving the water industry. With more than 20 years in the plastics industry, Wewill represents quality and service that you can trust. Contact Wewill Inc. today for more information regarding NSF materials for all types of filter housings, including spin-welded filter housings, RO membrane housings, pressurized filter housings for 10’ and 20’ standard and big blue/jumbo housings, filter housing lids for 10’ and 20’ standard and big blue/jumbo housings. Clean air and potable water are no longer guaranteed social commodities. Join us as we bring these necessities to people around the world by making localized production of water filtration systems more readily available. Complete NSF listings are available upon request. NSF/ANSI 61 certified PP compounds for drinking water system components.